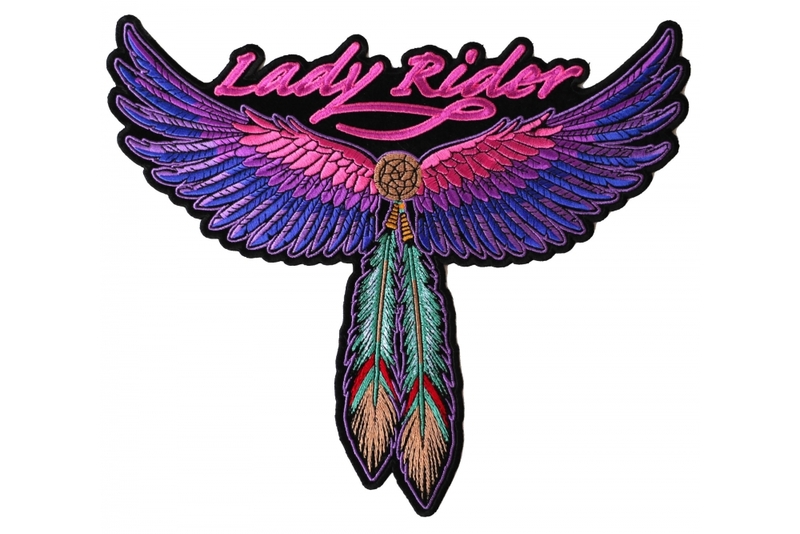 A new design by Arturo Vilmenay, for all lady riders. 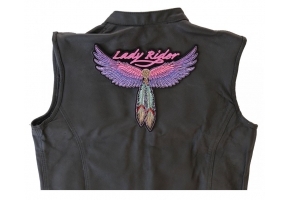 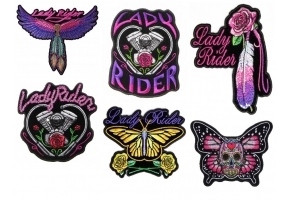 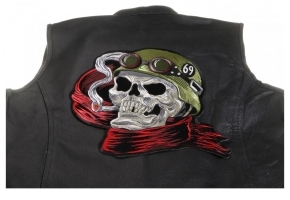 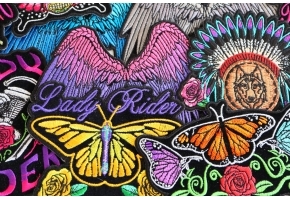 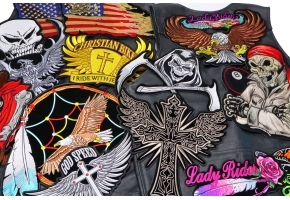 Buy the Large Lady Rider Feather and Wings patch measures 10x8.5 inches. 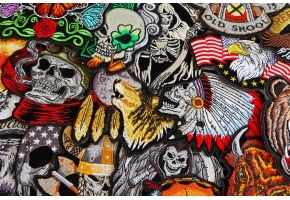 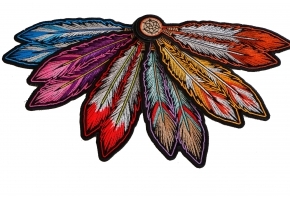 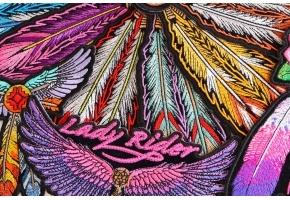 Designed as a tribal patch for Ladies with wings in purple and pink and greenish feathers hanging down from the patch. 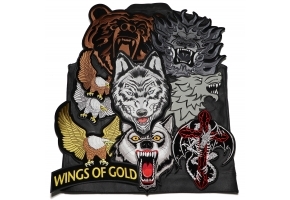 The artwork is copyrighted. 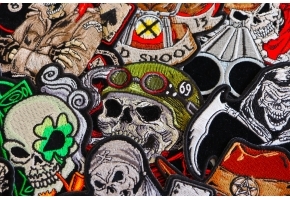 We pay the artist loyalties for their works. 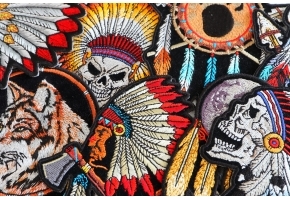 Thank you for not buying fakes.